Who's in the AXON ecosystem? Our ecosystem comprises some of the most innovative and influential carriers, cloud services providers and IT integrators, locally and globally. See an AXON partner you want to connect with? Talk to us today. Alibaba Cloud is one of the world’s leading IaaS providers and the largest provider of public cloud services across Asia. Offering a comprehensive suite of cloud services to businesses worldwide, Alibaba Cloud services a massive global ecosystem of partners doing business on the Alibaba marketplace from start-ups to corporations and government organisations. Google Cloud Interconnect (GCI) enables secure access directly to the Google Cloud Platform and more than 100 points of presences around the globe. GCI provides direct physical connections between an on-premise network and Google's network, enabling users to extend their data centre networking into Google Cloud. Use AWS Direct Connect to securely connect your infrastructure to any AWS cloud services, including Amazon Elastic Compute Cloud, (EC2), Amazon Virtual Private Cloud (VPC), Amazon Simple Storage Service (S3), and Amazon DynamoDB. With AWS Direct Connect locations in C1, M1 and P1, you can reduce your inter-capital overhead cost. IBM Cloud Direct link allows you to create high-speed, private network connections from your existing infrastructure directly into IBM Cloud. With Direct Link you can control complete access over IT resources allowing you to move workloads in and out of the cloud. 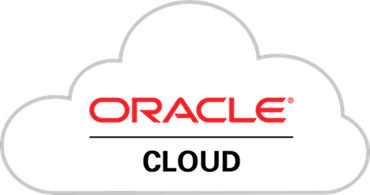 Oracle FastConnect provides a network connectivity alternative to using the public internet for connecting with Oracle Cloud Infrastructure. Enjoy the benefits of improved performance, enhanced control, flexibility and scalability to support your critical business data and functions. 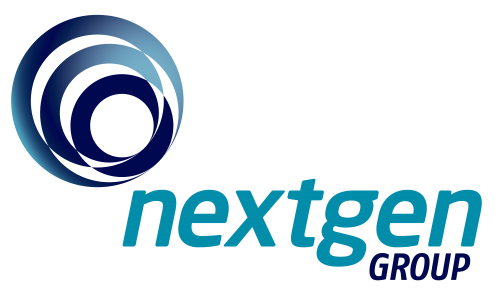 Nextgen Group delivers a seamless customer experience by combining our strength in Data Networks, Data Centre and Cloud. Our Team serve the needs of business across the country, from medium-sized businesses right through to some of the largest corporations. We can support across one site or many - from technical advice to the rapid provision of new services. We work closely with customers to reduce inefficiencies helping you deliver the very best results for your organsiation. Nextgen Group is located in all of Australia's capital cities with our local teams able to service and support our customers needs. 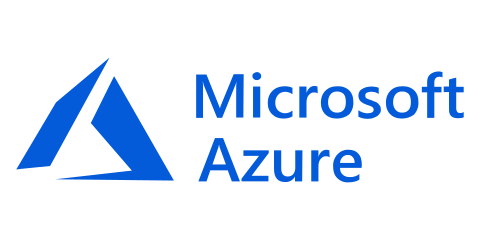 Azure ExpressRoute lets you create private connections between Azure datacenters and infrastructure that's on your premises or in a colocation environment. ExpressRoute connections don't go over the public Internet and offer more reliability, faster speeds, lower latencies, and higher security than typical Internet connections. In some cases, using ExpressRoute connections to transfer data between on-premises systems and Azure can also yield significant cost benefits. Fastrack Technology is a leading IT services company focused on improving organisationsâ€™ efficiency, assisting with the rapid adoption of cloud technologies, infrastructure services and building their capacity to collaborate and grow. Fastrack solutions couple consultant experience, vendor relationships, proven methodologies and products to deliver ready-made solutions for cloud connectivity issues, barriers to collaboration, operational inefficiencies and under-performing networks. Fastrack is a premier partner to some of the worldâ€™s best vendors and provides best practice design, deployment, managed and support services for; Office 365, SharePoint, Microsoft Azure, Windows, Office, Google Cloud, AWS, Private and Hybrid cloud, Windows Intune, SCCM and many more. With offices in Sydney and Melbourne and a partner network that extends across the world, Fastrack can accelerate and grow your business, no matter the size or complexity. ASE is into one of Australiaâ€™s Top 10 Most Trusted Cloud Providers (Longhaus Review, 2012), with more than 6x Data Centres around the world forming part of an International connected network â€“ including Australia, Singapore and across the USA. ASE has more than 150+ clients including global organsiations Apple, APG, Stackla and LayBy Services. Vertiro is niche provider of communications solutions, Simple unified communications platforms, applications and mobile options promise customer engagement and workforce collaboration. With complexity eliminated by design from our all-in-one IP phone system, UC and Call Centre solution, our industry leading hosted phone system affords you freedom and self-reliance that other providers simply cannot match. With strategically placed International data center infrastructure across four continents, intabank now provides the technology to 'link' bandwidth across regions, territories and countries and move this Internet capacity from those companies locations who are not using their committed connectivity â€“ to those who need more bandwidth... all for a fraction of the price and no long term contracts. Operating globally 24/7 (365 days a year) intabank provides the perfect platform for users of Bandwidth to offload their spare (unused) connectivity to users of Bandwidth seeking "burst" capacity. We are an award winning Australian IaaS Cloud hosting provider for MSPs, ISVs, Enterprises and SaaS Providers. We offer a highly automated enterprise-grade cloud platform integrated with a national telecommunications network. We deliver customisable compute, storage, disaster recovery and networking products for customers of any size. Somerville is a wholly Australian owned company who commenced operations in 1982 with the original focus on providing data cabling and electrical services to our customers. The company has continued to expand since that date in terms of both the services and technologies that we offer. Today we are a leading Australian provider of innovative technology, services and solutions to our education, government and corporate clients. Somerville is one of the largest suppliers of hardware, software and services to the education market in Australia. Real World Technology Solutions is an innovative IT Telecommunications and Managed Services company delivering enterprise quality voice, data and IT management services. We own and maintain our purpose built, robust and reliable IP data network, deliver state of the art voice over IP services and solutions and provide insight and management of IT infrastructure for micro, small and medium businesses. PingCo is a cloud services provider with strong focus on infrastructure as a service and industry leading communications platforms such as Microsoft Lync and Mitel, we allow our customers access to these services through a range of private cloud solutions and partners to leverage this infrastructure. PingCo was formed in April 2011 by IComm's CIO Daniel Pearson. As public cloud services such as Microsoft's Office 365, Google and Amazon are becoming more and more popular amongst customers, it made sense for PingCo to offer a solution that allowed customers access to their own Private Cloud platform. TransGrid owns and operates a state-wide telecommunications network made up of microwave radio systems and an optical fibre network. Our Telecommunications network utilises an extensive range of communication towers and high voltage transmission line towers. At IX Australia we have built on the success of WA-IX, a multi-lateral peering exchange established in 1997 by the Western Australian Internet Association. With the success of WA-IX, in 2011 we expanded to VIC-IX and QLD-IX, SA-IX in 2012 and NSW-IX in 2013. Today all of these exchanges are operated under the IX Australia branding, unifying our services that are offered to members Australia wide. Being a not-for-profit organisation, our focus and direction is driven by our members. Unlike a commercial entity which needs to answer to share-holders, we work with our members to provide the best possible outcomes for their needs. And the focus of our organisation is coordinated with representatives across all membership classes. Tesserent is dedicated to providing enterprise Network Security and Internet Connectivity via a managed service for organisations across Asia Pacific. Tesserent has been providing enterprise security services for more than 12 years to clients including local government, retailers, education institutions, high value transport and logistics businesses and many more. We protect our client's critical information from threats and risk, allowing them to focus on running their own businesses efficiently and safely. We do this through a range of network security solutions that are managed by our expert team 24x7, 365 days a year. Our clients hand us the responsibility of managing their IT Security; one of the most critical priorities for any business. We proudly own our technology and manage it from our new Melbourne based state of the art Network Operations Centre, allowing us to bring a fresh approach and an expanded range of premium network security services to all our customers. Paradyne is Australia's leading provider of Cloud Consulting, Migration, Support and Productivity services. With hundreds of migrations and over 2 million users, we are recognised in the cloud and IT industry for a number of highly regarded accolades, including CRN Fast 50, MAPA 2013 Winner and Telstra's #1 Partner in 2013. 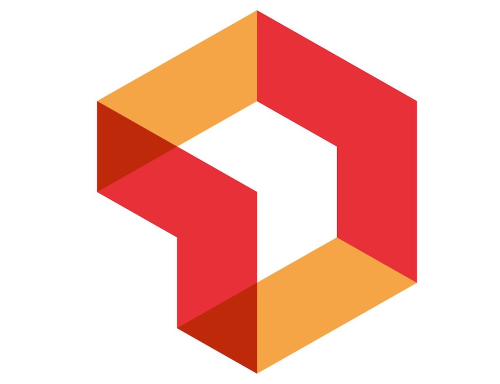 Paradyne is a cloud consultancy specialising in the deployment and integration of Microsoft cloud products including Office 365, Exchange Online, Skype for Business, SharePoint Online, Office Web Apps and more. In addition to technology support and development, as part of the Paradyne business, we offer change management, sales, marketing and communications activities to best service our customers' needs. With staff in Sydney and Melbourne, we service customers in every state around Australia and around the globe. Our business is helping yours. Our focus is helping our customers realize results in a digital world through business technology solutions, cloud and managed services. We do much more than simply deliver technology or provide cloud and managed services. At Avanade, we offer clients the unique expertise we've gained from our one-of-a-kind experience with our partners and clients. Take a peek inside and youâ€™ll see exactly what we mean. Since 1998, blueAPACHE has been helping organisations access technology to their business advantage. We achieve this by providing IT management, IT strategy and converged IT services to clients across Australia, New Zealand, Asia and North America. Global Storage is the leading Australian provider of compute, data backup and disaster recovery cloud services. Our Customers include blue chip clients across the Corporate, Government, Healthcare, and Professional Services sectors. Our expertise and specialisation in cloud infrastructure and data recovery helps our Customers realize the agility, efficiency and intelligent operations management of cloud computing, with the assurance of enterprise class data protection designed to meet the most stringent business requirements for business resiliency. Micron21 Kilsyth datacentre is situated 30KM outside from Melbourne CBD perfectly suited as a primary facility however our location also falls within many compliance regulations for disaster recovery for global companies and government departments who require mission critical datacentre services. Built around uptime institutes tier 4 specifications with plans to be audited by uptime institute upon completion of our expansion Micron21 provides a high level of fully redundant datacentre services. Simtronic Technologies was founded in 2004 and has been a leading provider in managed services ever since, we have grown from being just a hosting and managed services provided to a full blown network aggregator, we now operatoe fully redundant MPLS network infrastructure all over Australia and provide services such as; Annex A/M ADSL/ADSL2+, Midband Ethernet (Ethernet over Copper), Fibre Ethernet (BDAS/MetroE), Point to Point Wireless Links, Layer2/3 Wide Area Networks, Managed MPLS Private Networks, Co-location, Disaster Recovery Services, Virtual Dedicated Servers, cPanel Based Web Hosting, SIP and PSTN Voice Termination. Our staff have a combined IT industry experience in excess of over 20 years, we know how important data integrity and uptime is, so we strive to provide the most reliable yet cost effective services to our customers. We manage and run some of Australiaâ€™s largest private networks which carry real-time voice & data to meet the critical needs of business & government customers who expect uninterrupted access to critical infrastructure 24x7x365. TasmaNet's aim is to meet and surpass your core business and service-level needs. We bring cutting edge technologies and systems management best-practice to your business. TasmaNet has the technology and know-how to enable our customers to harness their technology for greater business success. 100% Tasmanian owned and operated, TasmaNet knows the Tasmanian business 'landscape'. Veritec is a full service ICT Solutions provider helping their clients develop the correct strategy based on business objectives, execute the plan on time and on budget, and then manage the business solution to ensure the smooth running and ongoing optimal performance. 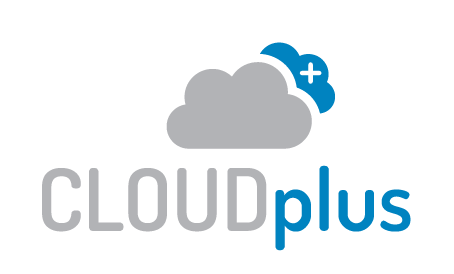 Cloud Plus is a leading provider of Private Cloud Solutions in Australia and New Zealand. We operate our own Next Generation MPLS Network and cloud services infrastructure and deliver highly integrated solutions for our clients and partners. All of our services are backed by our 100% Uptime Guarantee and 100% Committed Support. Delivered as Infrastructure as a Service (IaaS), a Private Cloud Solution from Cloud Plus takes the cost and complexity out of cloud computing. We enable our clients and partners to leverage the substantial benefits available with cloud computing without having to make a significant investment in infrastructure, technology and staffing whilst maintaining a high level of visibility and control. Australian owned and operated, VMvault staff consists of seasoned technology professionals with tertiary IT qualifications, and VMware, Cisco and Microsoft certified engineers. The team at VMvault are prompt and professional, ensuring all clients receive excellent hosting solutions, bundled with expert support when required. Intellect IT provides technology solutions to enable your business to grow. We can manage your existing IT and communication systems, implement new technology and provide ongoing expert care to make technology work for your business. Founded in 2003, Intellect IT is a customer-oriented information technology and communications integration and support company. The company is driven by a belief that business is based on strong relationships and responsive service. It is an approach that leads to long-term partnerships with the businesses that we support. Helping modern day companies in the adoption of disruptive technologies, NGage have the ability to provide an end to end spectrum of services that range from subscription models to infrastructure solutions. Bawn Consulting Group is an Information Technology consulting business. Through a deep understanding of your needs we rapidly deliver solutions that are cost effective and minimise your risk.